With the advent of digital technology, vinyl is slowly but surely losing its position as the DJ’s medium of choice. But if you still like it old-school and are willing to invest your hard-earned money in a pair of vinyl turntables, read on. The history of professional DJ turntables began in 1978, when a Japanese company called Matsushita (now Panasonic) released the MK2 version of its Technics SL-1200 record player. The original SL-1200, which was released six years earlier, was marketed as a hi-fi consumer turntable and had a rotary pitch control. Today, more than 30 years after its release, the Technics SL-1200MK2 and its later versions (MK5, MK5G etc.) remain the industry standard found in most clubs. The secret is in the turntable’s stellar build quality and unmatched durability: a lot of 1200s produced in 1970s are still in use. So even though Panasonic was forced to finally discontinue the model in 2010 – after 32 years of production! – the “wheels of steel” will probably be around for as long as vinyl records are made. The moral of the story is simple: If you want the best of the best, go for a pair of 1200s. Be prepared for some sticker shock, though. After the Technics “analog turntables” (that’s how they call them now, sigh) were discontinued, their selling price doubled overnight, so a new pair can cost you as much as $2,000. Yikes! If you can’t afford the Technics – and frankly, if you’re only starting out, shelling out $2,000 is too much of a leap of faith anyway – no problem. There are other decks out there, many of them quite decent even though their build quality and durability aren’t as legendary as those of the SL-1200MK2’s. But before you start looking into those cheaper alternatives, you need to get familiar with some key features of a DJ record player. The first one is the type of drive motor used. In direct-drive turntables, the motor is located under the center of the platter and is connected to it directly. This ensures higher torque and lower wow and flutter (i.e. platter speed fluctuations), both of which are essential for a DJ. 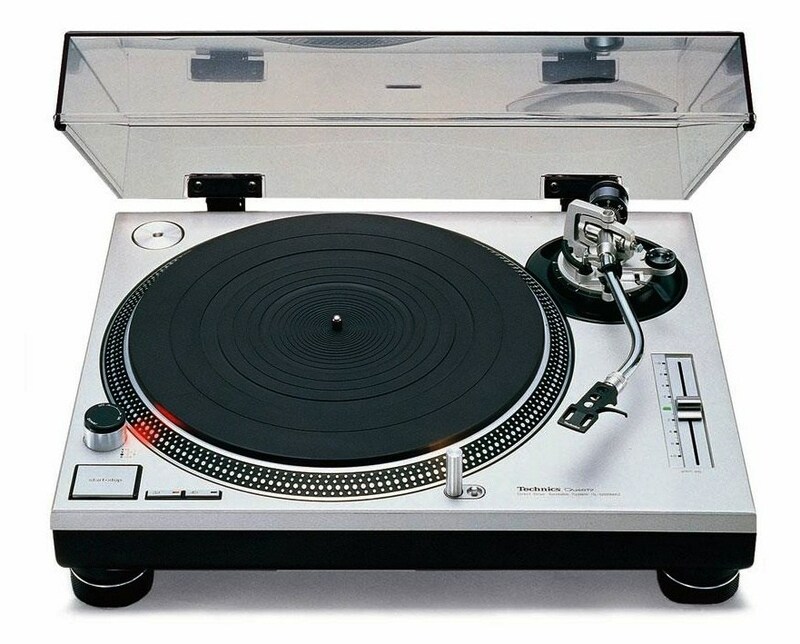 The first direct-drive turntable, released in 1969, was the Technics SP-10 – a direct ancestor of the SL-1200. In belt-drive turntables, the motor is located off-center from the platter and is connected to it with a rubber belt. As a result, belt-drive decks have lower torque and their platter speed fluctuations are greater. If there’s going to be only one piece of advice that sticks in your mind after reading this article, let it be this: Don’t buy belt-drive turntables! Whatever the manufacturer claims, they are totally unsuitable for DJing. The main reason is that a belt-drive deck can’t maintain a constant speed of platter rotation. And this is extremely important for a DJ because even slightest speed fluctuations will lead to galloping. 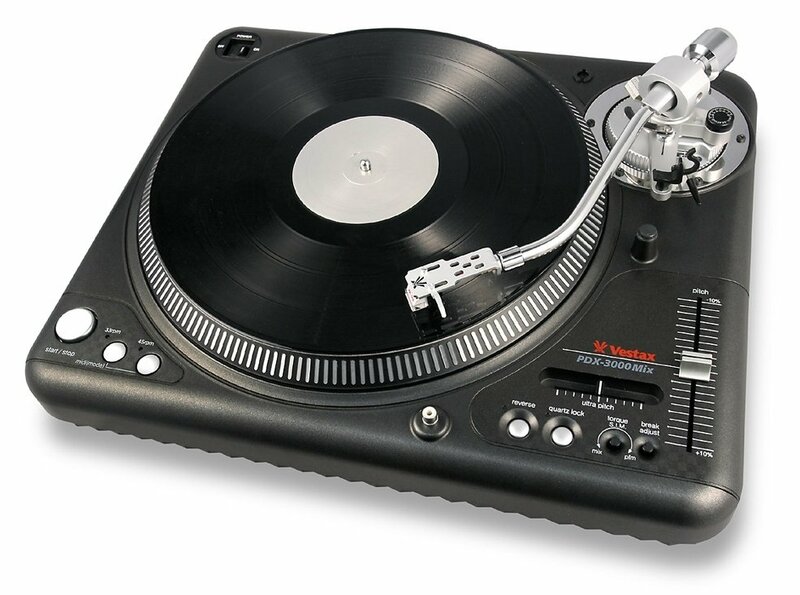 The second important feature of a DJ turntable is its torque. Higher torque means that the platter will accelerate to its proper speed faster after you press the Start button, and won’t slow down a lot when you’re holding a record still on the slipmat. The SL-1200MK2’s torque is 1.5 kgf·cm; the decks of your choice should have at least as much. Apart from the drive motor type and torque, another essential feature of a DJ deck is a pitch control slider. (I tried to make it obvious here but I thought I’d spell it out again just to be safe.) Make sure that you can adjust the slider smoothly and that the turntable is quick to respond to those adjustments. Digital output (S/PDIF, USB). Means that the turntable is capable of digitizing the sound and sending it to a computer or another device with a digital input. Adjustable pitch range. 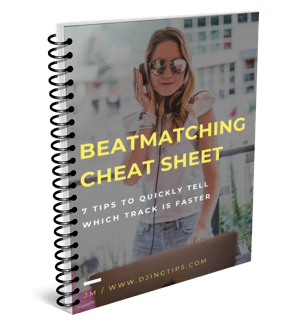 Allows you to switch the range of the pitch slider – for example, from +/-8% to +/-16% or even +/-100%. Useful mainly for scratch artists. Master tempo. Uses digital signal processing to maintain the track’s original key while allowing you to change the tempo with the pitch slider. Reverse. Makes the platter rotate in the reverse direction. For a non-scratcher, nice to play with a couple of times and then forget about. Adjustable torque, BPM counter, interchangeable tonearm etc. Vestax turntables are arguably the closest rival to the 1200s. They haven’t been around for as long as the “wheels of steel,” but they’ve already gained respect among DJs for their build quality and features. The PDX range of Vestax decks appeals to scratchers because of the special tonearm technology that drastically reduces skipping, and other niceties such as reverse, adjustable break/startup time and adjustable pitch range of up to +/-50% or more. The decks are cheaper, too ($500 to $800 a pop), although still hardly a bargain. All in all, Vestax PDXs are fine turntables, so go ahead and pick up a pair if you prefer the features and lower price to the legendary durability and iconic status of the 1200s. Oh, and Vestax decks are still in production, which may be important down the road in terms of being able to get your turntables serviced. You won’t find them in clubs, but Numark, Stanton and Gemini decks let you get into vinyl DJing without breaking a bank. 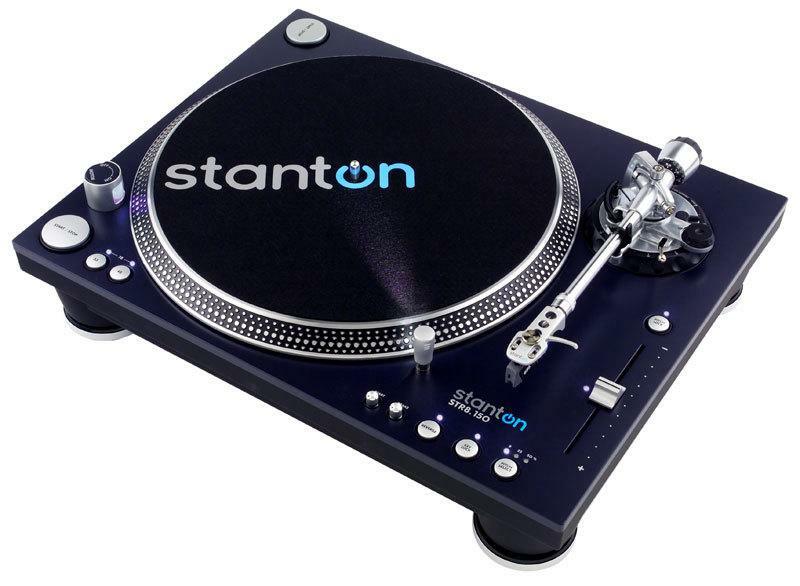 For just $300, you can get an OK direct-drive turntable with enough torque and features to learn on, and $400-$500 will buy you a top-of-the-line deck like Numark TTX-USB or Stanton STR8.150. The problem with the budget decks is that they are a far cry from the sturdy and time-tested Technics, are made from cheaper materials and generally tend to suffer from random problems popping up here and there. Also, they are not as easy to sell once you get better or aren’t interested anymore. So if your budget is $400 per deck or more, you may want to go for used 1200s instead. Don’t get me wrong: Gemini, Numark or Stanton turntables are more than enough to learn the basics of vinyl DJing. My very first setup included a pair of Numark Pro TT-2s, which were decent clones of Technics but came with a couple of flaws to get used to: random platter accelerations on certain pitch positions and cheap casing. Well, you get what you pay for. If cash is tight, budget decks may be the way to go. I bought a Vestax PDX-3000Mix. It’s great. I usually recommend an Audio Technica as a Technics substitute, but I agree with you on the Vestax. It is indeed pricey, but I think the features are worth it (specially the anti-skip tonearm).